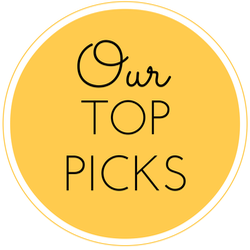 You are here: Home / Turntable Reviews / What’s the Best Record Player Under $100? 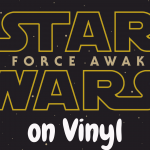 Vinyl has become more and more popular over the past few years (or, should I say, popular again), and if you’re someone that is intrigued by this hobby and is looking for a cheap record player to buy, look no further than this article. 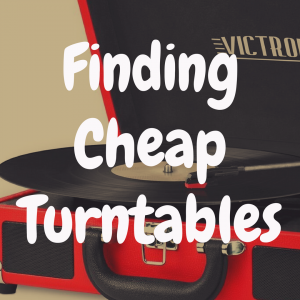 In fact, we are going to help you find the best record player under $100—something that won’t break the budget and also isn’t overly complicated to operate. The more you know about what exactly it is you need, the easier it will be to help you as a customer when you walk into a record store or buy online. Going into the marketplace prepared (whether it be physical or digital) is key. Also, this is a unique world filled with eccentric hobbyists and arm-chair guitarists alike. You’ll encounter some interesting folks with lots of opinions on record care, record buying, and record collecting. 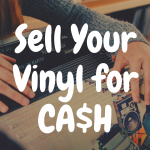 Not to mention, when it comes to adding to your collection, you can walk into a store and walk out with a bag full of your favorite records, but your bank account is light $250. People say tattoos can be addicting—well so can record collecting. 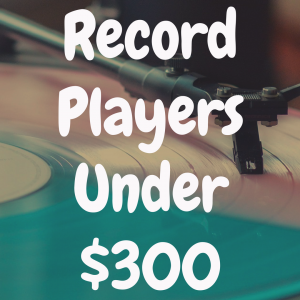 So, before you jump in and purchase a $500 turntable without really knowing why you’re buying it, gauge whether or not this interest of yours in vinyl records is likely going to stick. 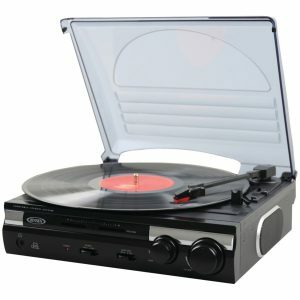 And if you’re not sure, or are just on a budget, why not be in the market for a record player that costs less than $100? Has music always been one of your primary interests? Is your iPhone storage bogged down by iTunes downloads? Have you perused record stores before, wishing you could give them your money for the many records of the many bands that you love. Then this is probably where you want to begin. The Audio-Technica AT-LP60 is more for the serious starter, despite this player coming in at $99. It has everything you need: it can play 33 and 45 RPM and has automatic play and stop functionality. It is remarkably easy to use, too. The sound is fairly crisp for the money you pay spend, with very little hissing and popping. It can handle scratches and poppers very well. It has a sleek look and doesn’t have any of the cliche nostalgia attached to it. This is a quality player that gives you a clean sound and can handle most records. As you continue down the road and experiment with different sounds, you can slowly upgrade your speakers, receiver (if you choose to have one), and quality of needle. This is a great base, while also giving you a lot to start with. It is the turntable for the music listener who already knows this is a passion that will stick. You can read our review of the Audio-Technica ATLP60 here. Crosley has been around forever. They’re a nostalgic brand that now caters to the super-casual record listener. The Cruiser is built for someone who wants to dabble and see if this hobby is right for them. It has three speed (33, 45, 78), a manual return arm, and most are Bluetooth capable. Chances are, if music is your thing, you probably own a little bluetooth speaker to begin with, and it will pair nicely with this table. And if not, no worries, it has built in speakers (some of the best when it comes to players under $100). The tone arm is cheap, as is the needle, but it gets the job done. This has some of the better built in speakers that you’ll find on players under $100. But like all players with built in’s, unless you’re buying this for your dorm room, I would highly encourage even your most basic set up. Overall, it’s a serviceable player. Not to mention, it comes in various colors and doesn’t take up too much space. And it’s portable! So if you don’t like it where it is, close it and take it wherever it needs to be. 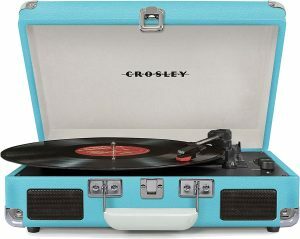 You can’t go wrong starting off with a Crosley. 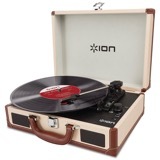 As with many turntables under $100, this ION is portable. It’s a 3-speed with built in speakers that do the job. For those of you who would like to be able to convert the vinyl they have to MP3’s, this table comes with a USB connect, and tape converter software that allows you to turn wax into digital with ease. One of the flairs this Ion possesses is the rechargeable battery which can last for a few hours, which makes for easy transport. It has a nice balance of 50’s retro with modern convenience. At a price usually found around $65-$70, you’re getting a player somewhere between the base utility of the Crosley and the advanced ability of the Audio Technica. The tone arm is heavy, which can chew up your vinyl. But that would only be a factor if you were spinning original issues for a year plus, which I would advise you not to do on this particular player. While the speakers won’t fill a four bedroom house, they are strong enough to supply a room with passable tunes or enough to serve a gathering of friends. As far as getting into buying records, or if you’re looking for a portable secondary option, this is an excellent choice for the price. The Pyle PVNTT6UMRBT is a great choice for someone looking for more of a vintage look with the modern bells and whistles. 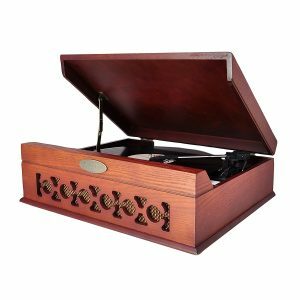 This has a classic turntable design, with a dark maple wood finish. However, it has a bluetooth capability that allows you to connect with your speakers or headphones. This also allows a connection with your iPhone or Android, however you may find that these speakers don’t handle as well. They’re mainly built for the vinyl you’ll be playing, so using this as a multipurpose stereo is not advised here. It has built in speakers, has a solid belt drive, and comes with vinyl to MP3 software. Overall, this is a nice start, but if this is a hobby you plan to stick with, this is a table you will move beyond within the year. 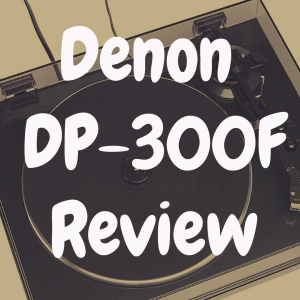 The Jensen JTA-230 is a solid starter player, and only runs you around $50. It plays 3 speeds, has built in stereo speakers, a USB port for converting to MP3 (software included), and the needed auxiliary jack. One of the nice standouts for this particular player is it has Pitch Control (volume and tone), which if your listening to Dad’s warped old records can really help you adjust base and treble to find the right frequency. It’s a small player, the LP sticks out from the table (as does the Crosley) which gives it an odd look and can gather dust. But you are able to close the lid over the record, so this should not be a concern. Just don’t leave your wax on there for too long. While the speakers are small, they can fill a room just fine, but for this particular player I would suggest even a simple system. They sound tinny and cheap, depending on the acoustics of your living room or bedroom, of course. It has a very light tone arm, which will be very nice to your records, however, it is a little too fluid when you drop, which can lead to some scratches. This is one of the better introductory players you can get, while not spending too much. For $50, it does everything you ask of it, and makes a great gift for a music enthusiast. 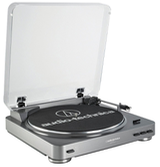 The winner here for me is the Audio Technica AT-LP60. 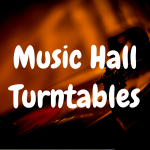 It’s going to set you back the most out of all of these players, but in regards to what it can do: it will fulfill most of your needs when it comes to playing records (outside of having built-in speakers). But this really depends on how long you’ve wanted to have a record player. How big of a role does music play in your every day life? If you’re like me, and you play records all day every day as you walk around, work, do the dishes, fold laundry, etc. then this player is the perfect fit. But, if this is a recent hobby that you want to dip your toe into before you head for the high dive, then probably the $50 Jensen JTA-23- would be the more appropriate buy. Keep in mind that there will be additional costs: records, receivers, speakers, cleaning materials, record storage, etc. So, make sure you budget correctly before purchasing. While I like the AT-LP60 the best out of the five I’ve recommended, if you want to save a little extra money and buy a cheaper player so that you can spend the extra bucks you saved on vinyl records and storage cases or portable speakers, by all means go for it.